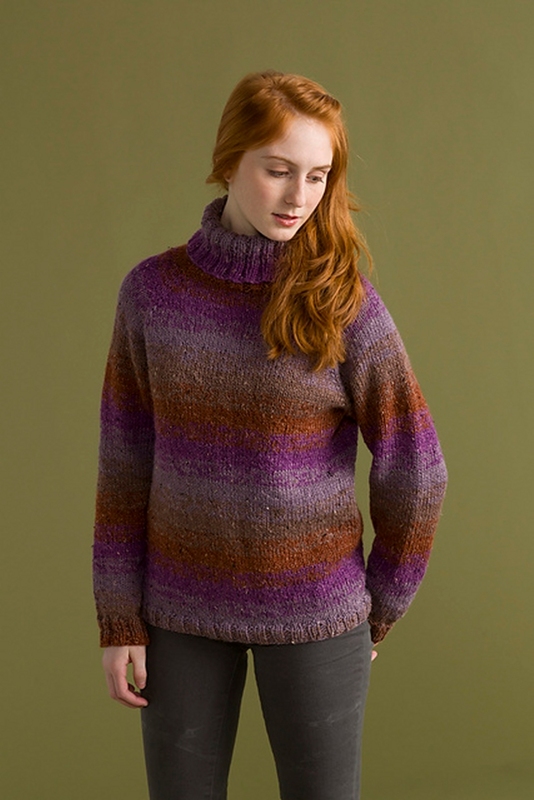 Taken from "Inspired": "Worked from the turtleneck down to the hem with a double strand of yarn, one color is changed at a time to blend the stripes on this raglan sleeve pullover." 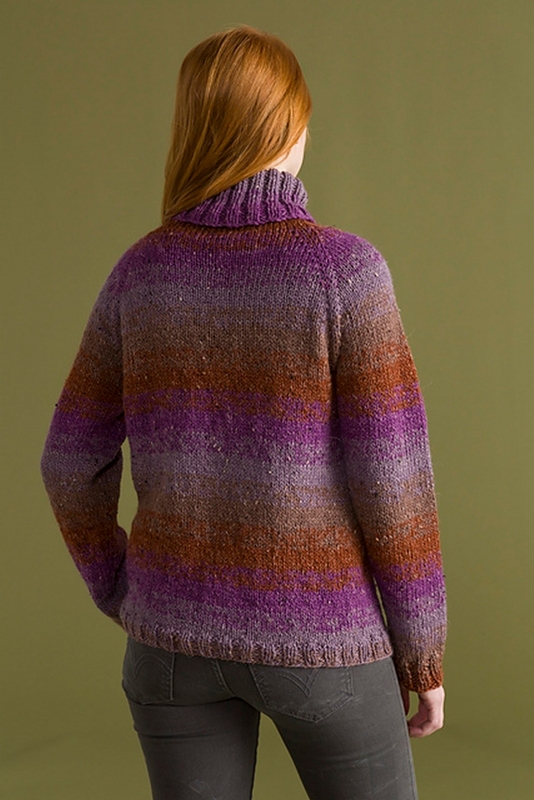 This pattern is from "Inspired by Patchwork" by Classic Elite Yarns. Finished Bust Measurements: Bust: 34 (37, 41, 44, 48, 52)" after blocking. Gauge: 16 sts and 20 rnds = 4" in St st with 2 strands of yarn held together, blocked.. Colors Shown are Violet, Shadow, Coconut, Russet.